From The Speed Merchants. Pg. 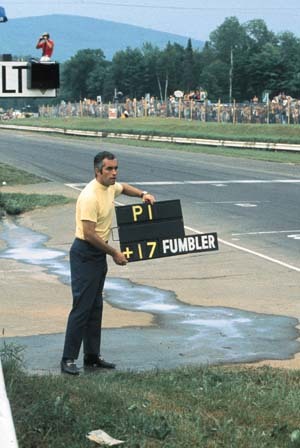 118 With a healthy lead, Roger Penske is able to joke with Mark Donohue, referring to George Follmer as "FUMBLER".